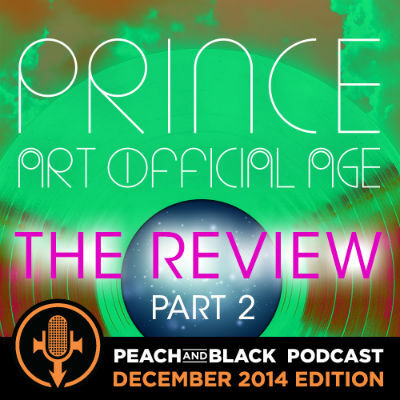 We know you've already heard 'Part One' HERE, so you are now ready to hear 'Part Two' of our Art Official Age Album Review - listen and enjoy! This entry was posted on Thursday, November 3rd, 2016 at 4:05 pm	and is filed under Music, prince, podcast, NPG, New power generation, prince and the npg, 3rd eye girl, prince rogers nelson, peach and black podcast, prince podcast, album review. You can follow any responses to this entry through the RSS 2.0 feed. Both comments and pings are currently closed. Copyright © 2018 Peach & Black Podcast. All rights reserved.